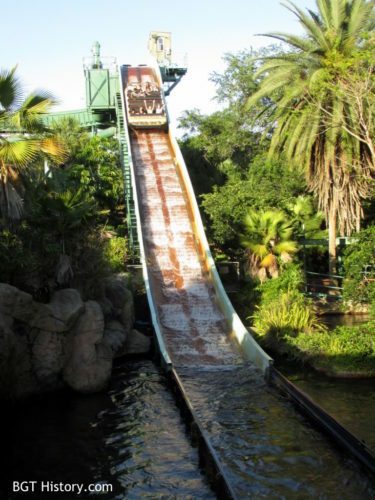 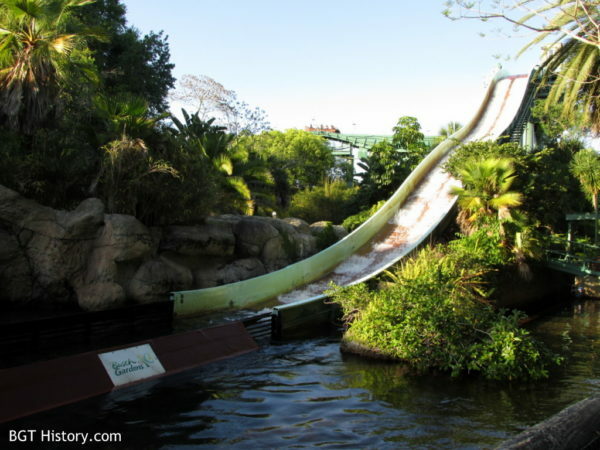 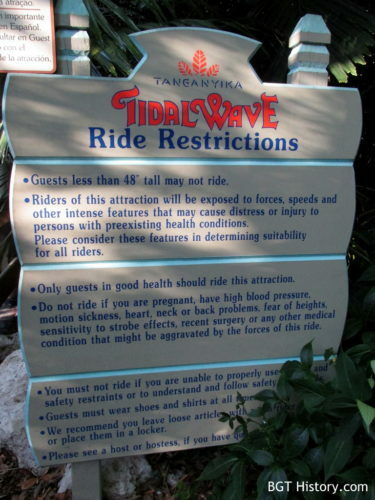 Replacing the African Queen Boat Ride, Tanganyika Tidal Wave used much of the former ride’s course and theming, and added a 55 foot drop. 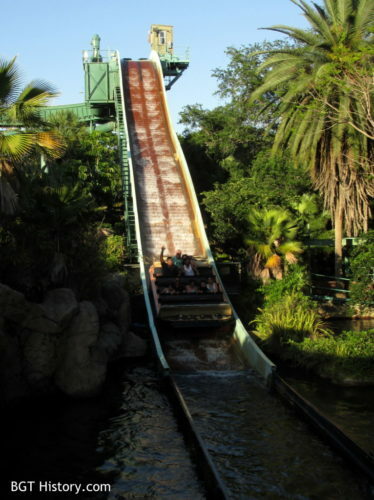 The boats held 20 passengers, and the course of the ride was approximately 1300 feet in length. 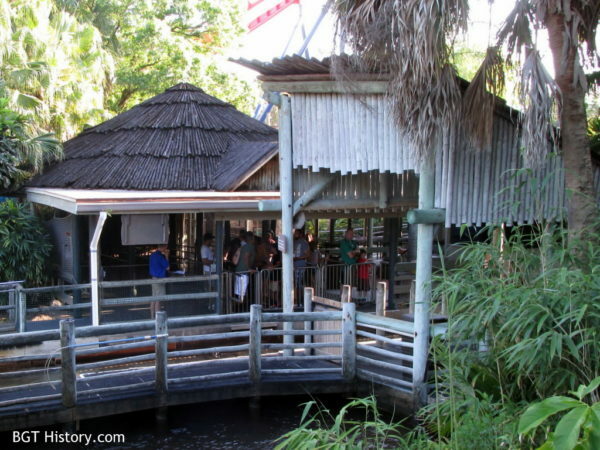 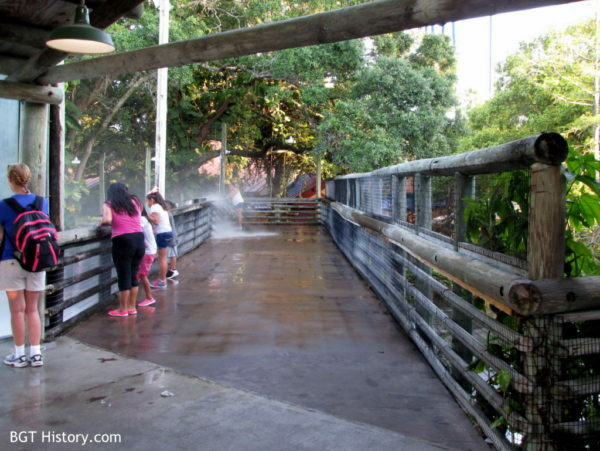 At opening, a newspaper article reported there were exotic animal sounds pumped in, along with real white rhinoceros and American crocodile exhibits. 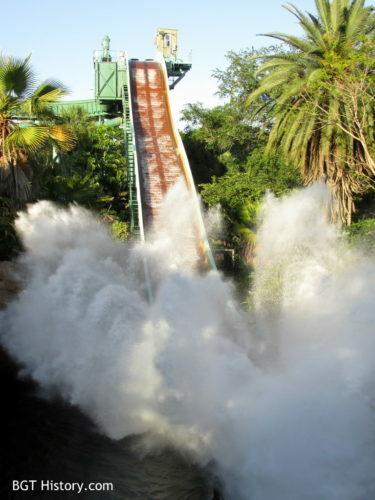 It closed on April 10, 2016, and remained mostly intact until the summer of 2018 when it was demolished. 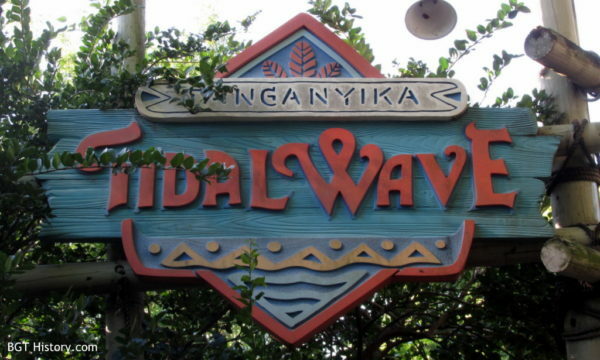 Additional details and images on Tanganyika Tidal Wave will be added in the future.